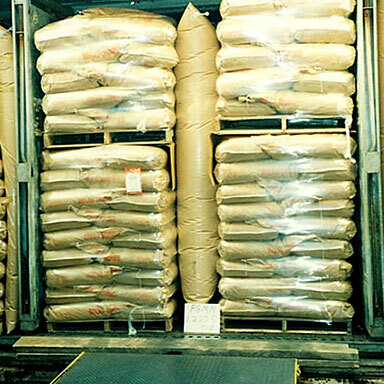 Dunnage Bag_Container Dunnage Bag-TOPSORB TECHNOLOGY CO.,LTD. 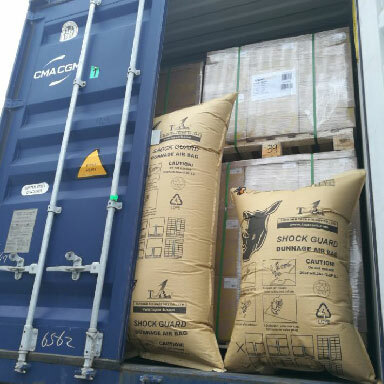 1、SHOCK GUARDdunnage bag can effectively prevent the cargos from moving during the transportation of truck, railways and containers. It can fill the interspaces and support the weight caused by bumping, absorb shaking, so as to protect the cargos from any damages. It is more effective and environmental friendly than any other traditional cushion material like foamed plastics. 2、It is made of kraft paper laminated by PP and PE, strong and firm, the inner bag is mainly made of five layers -ply arch nylon membrane with the component of PA.
With designing of the unidirectional valve, air can be released and charged faster. It is tight and strong to bear more than 7 tons of pressure. For its superiorities of time-saving packing, simple and convenient usage, lower transport costs, it has been used by more and more companies. 1. 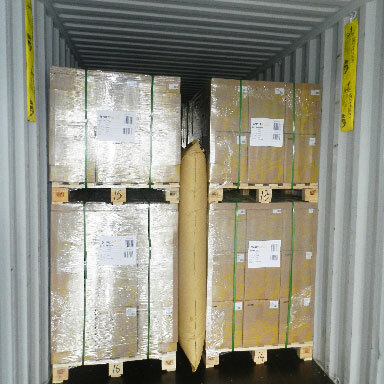 Damages due to the shaking, bumping, hitting of the cargo in container during the transportation(including inland transportation in the exporter's country, long-distance ocean transportation and inland transportation in the importer's country. It is made of high strength kraft paper, PP woven bag and PE film. Although only one layer of kraft paper, as it is produced with high quality raw material and special processing, its strength can be equivalent to the products with 2-3 layers’ kraft paper. Moreover it is the only domestic manufacturer we found, who produces inside bag with 5-layer nylon film, while all the other suppliers produce inner bag with LDPE, which is inferior to nylon film whatever on tensile strength, sealed strength or Anti-piercing strength. The one-way valve can effectively prevent the air from releasing, and its special design is helpful to protect the dunnage bag from damage and reduce the possibility of harm to the operator when air adding. 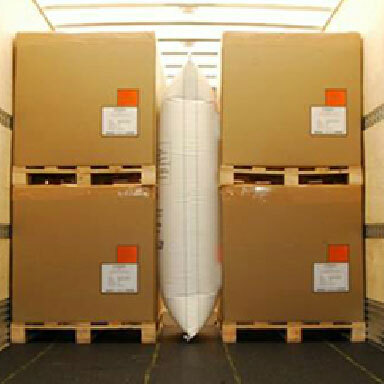 The installation of dunnage bag is simple. You can read the guidance printed on the exterior bag .